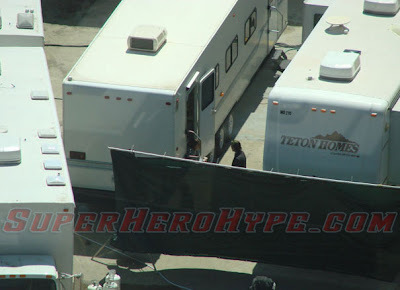 I am so excited for the Iron Man movie. From the director to the perfect cast to all these early images, I can’t help but be excited. This first image of Bobby as Tony Stark forging his first suit is amazingly incredibletastic. This image was release by USA Today. 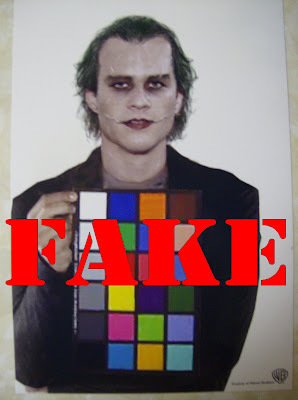 According to Batman on Film as per Warner Bros., this picture of Heath Ledger as the Joker is fake fake fakity fake fake. Well. Oops. 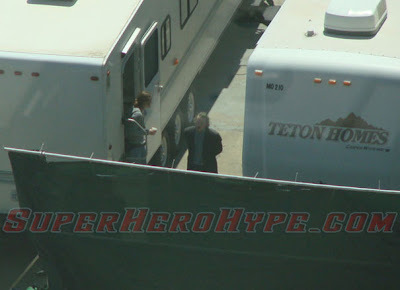 AICN has been posting these pictures of what they say is the Joker. The whole description of how they acquired these shots is a little fishy, but this one is the most convincing. 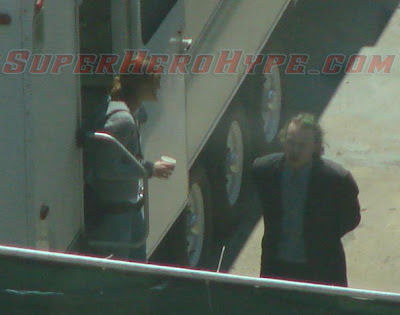 If this is Heath Ledger’s Joker, I am very happy. Click to enlarge. 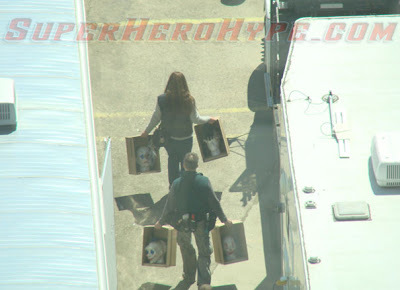 Superhero Hype has some location shots of Heath Ledger with green hair on the set of “The Dark Knight.” This makes me very happy, especially the last shot of the dolls. AICN and Variety have announced that Edward Norton is to play the Hulk/Bruce Banner in the reinvention of the series “The Incredible Hulk.” I don’t really know what their plan is. The only people I trust with superhero flicks are Christopher Nolan and Sam Raimi. I don’t know who this Louis Leterrier guy is, but I’m a little unsure about this. That first Hulk film was pretty bad. Maybe this’ll be good, who knows? I’m just one of those nerds who wants Bruce Campbell to play the Hulk. 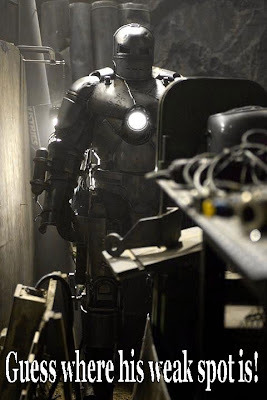 Here’s an amazingly cool new shot from Jon Favreau’s 2008 superhero film introduction of Iron Man. It must be an early suit or something, but I love it. 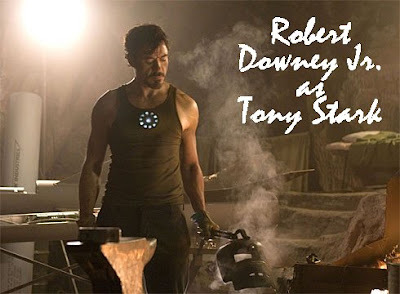 Robert Downey Jr. (one of my favorite actors) is Tony Stark and he will be perfect in this role. 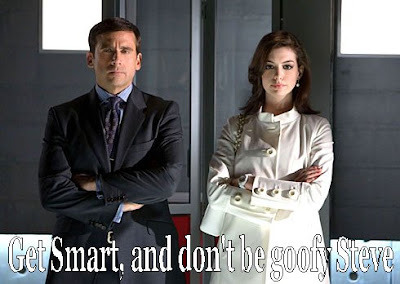 This next image is from the Get Smart film remake. I have high hopes and low hopes because that trailer for Evan Almighty is terrible. I can’t stand films where Steve is just screaming all over the place. Let’s hope he’s not goofy.